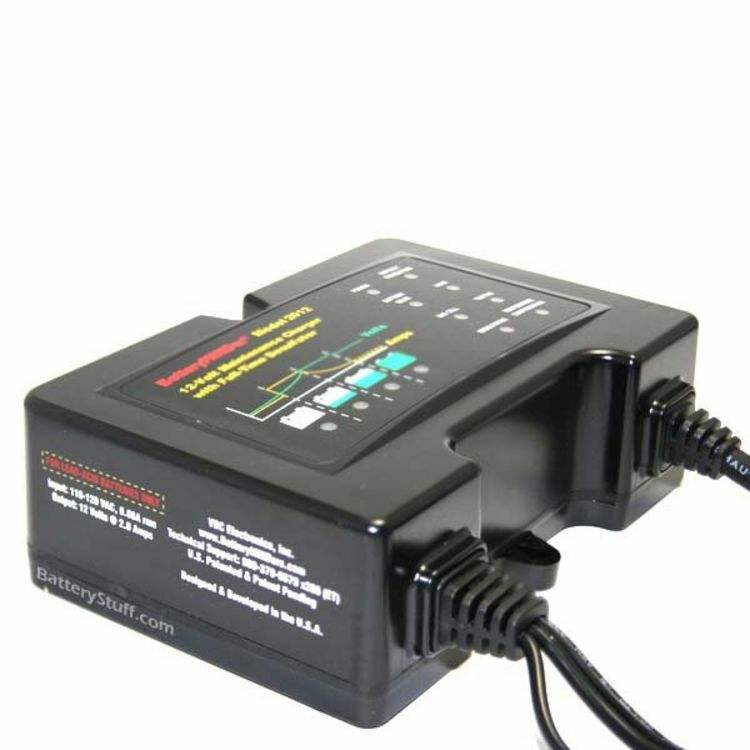 BatteryMINDer® 2012 is a SmarTECHnology™ microprocessor controlled charger/maintainer/desulfator. It is designed with 5-stages and is fully automatic. Plug ‘n Run feature means “no buttons to push.” Features easily understood diagnostic LED indicators that display the battery's condition and actual state-of-charge profile. This charger actively monitors your battery's voltage, amperage acceptance and temperature at all times. Working through a series of charging and diagnostics stages, the internal program adjusts its output several times a second based on sensor reading to quickly and correctly charge your battery. 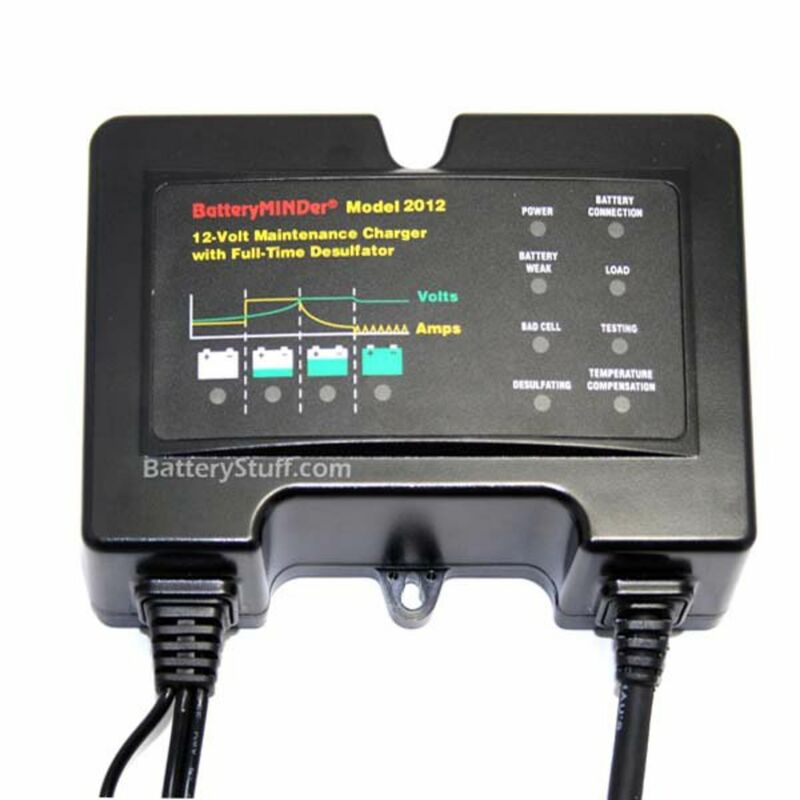 When used as a maintainer, the BatteryMINDer® is guaranteed to maximize your battery's life and storage capacity. The temperature compensated long-term maintenance stage will add years of service. Patented full-time high frequency pulse desulfation (NOT high voltage) prevents battery sulfation on new batteries or eliminates in older batteries, the #1 cause of early battery failure. Unit can maintain up to six 12 Volt batteries at one time when connected in parallel by using SmarTechnology™ Y-Connectors 210AY (part# 210AY - Sold Separately). Each Battery MINDer ships with one each quick disconnect ring set and alligator clips. Installed ambient temperature sensor for 0°F–130°F operating range ensures the battery will never be overcharged or undercharged regardless of temperature extremes. 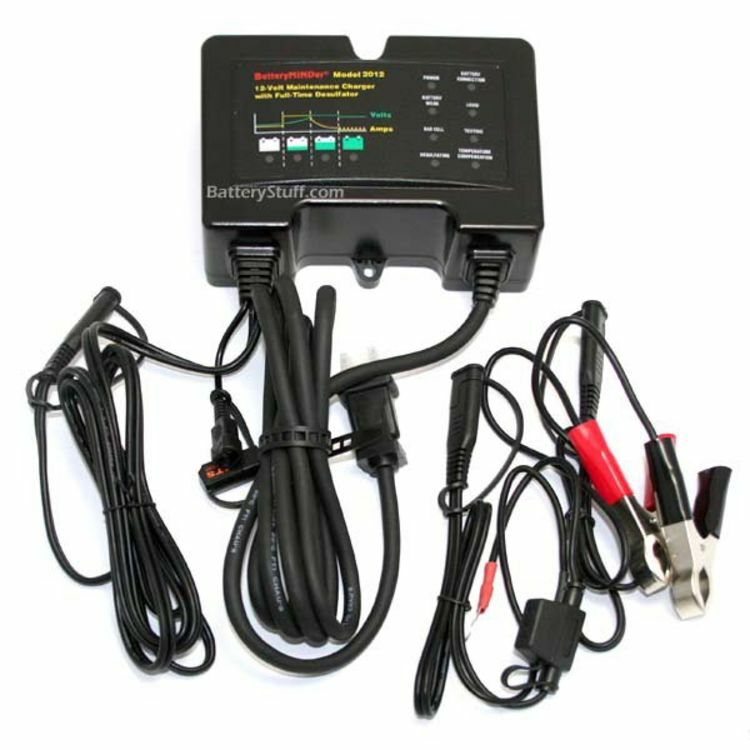 Maintains up to six batteries at a time (6 or 12 Volt batteries connected in parallel) Requires use of Y-Connectors (part# 210AY - Sold Separately). 6’ AC cord, 6’ DC cord with quick connector (SAE). Do you own the BM2012? Please, tell us what you think about it. It helps us provide you with better products. Please note that it may take up to 72 hours for your review to appear. Pros: For proper care of your deep cycle battery ( s ) you really should not try to get by with a low end charger. This charger is technically far superior to anything I ever used before. After testing my battery several times for how long I can employ my various electronic devices to it..running the battery down quite low..it did not take long at all for this device to properly and expertly recharge to full capacity, and then begin its usual desulphation maintenance. For the record, "the devices I employ" is a portable sound stage I have designed and built, which has in it five channels of SS preamp, and amp, and full range speaker devoted to each channel; with an extra DVD player and high end acoustic guitar preamp to stereo amp combo...all on either internal battery, 12VDC AGM deep cycle from this site...OR...115 household power. So quite a demand on that one battery, but it does very well, and this charger is ideal to keep that battery in tip top condition and ready to go...I "built in" the charger for this 'sound stage'. Cons: the alligator clips for the terminals seem to corrode fast, out side of that, don't know.